Are you behind on the regular maintenance or auto repairs on your Dodge because you’ve been searching for a good auto mechanic? Whether you need tires or regular maintenance, our auto repair technicians at Cordell’s Automotive in Holmen have got your back. We see lots of Dodge vehicles here at Cordell’s Automotive, and we’ll treat your Dodge like it’s our own. 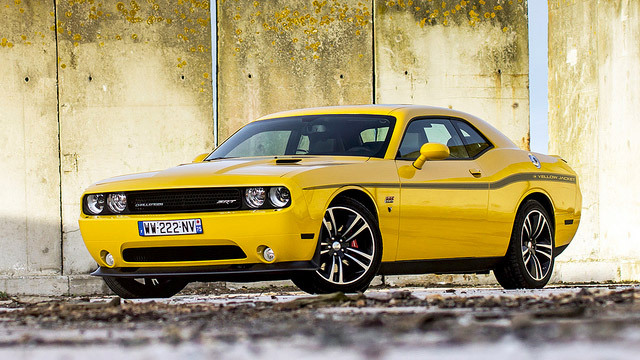 The Dodge brand has been on the American scene for over 100 years, and with good reason. While we can’t promise that your Dodge vehicle will last for over 100 years, we’d like it to stay on the road for as long as possible. Our auto repair technicians at Cordell’s Automotive know about your Dodge vehicles. Whether you have a Dodge Challenge, Durango, or Dakota, we’re technically able and willing to service that Dodge vehicle. Why bring your Dodge into Cordell’s Automotive in Holmen? There are plenty of reasons, and here are just a few. We have a 3-year/36,000-mile warranty in the unlikely event that your Dodge vehicle breaks down outside Holmen. Our waiting room is clean and cozy: should you come in for an oil change, you can help yourself to a Keurig coffee while you wait. We have many online five-star reviews and we hope you check them out! We’d love to work on your Dodge vehicle. Schedule an appointment today. Cordell’s Automotive is located at 300 South Holmen Drive, Holmen, WI, 54636. Our hours are 7:00 AM - 5:30 PM, Monday - Friday. We also service the communities of La Crosse, Onalaska, and Trempealeau.